Log in / JOIN US! Size 8x10cm (3.1" x 3.9"). Great patch. awesome colors, perfect size. Just wonderful! Was this review helpful to you? No Yes Thank you for your feedback. I know that I reviewed the last Savage patch way too many times,sorry about that. I really need to take some computer lessons.I´ll try to only send ONE review this time! Anyway,this patch is just perfect both in colour,design and quality. 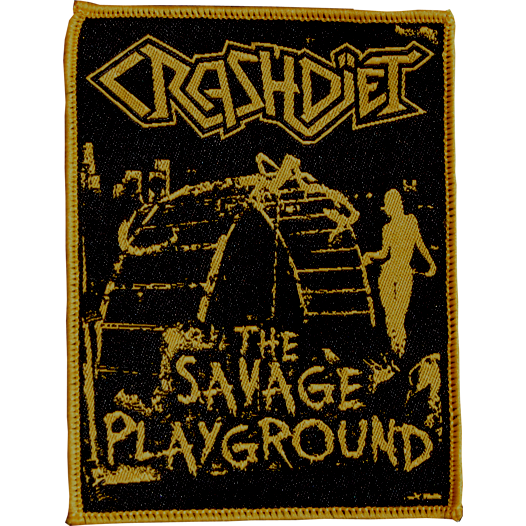 With the rest of my Crashdiet patches it completed my Heavy Metal coat perfectly for this winter. I wear it proudly! Great quality, looks just like the picture :) perfect size to fit on the sleeve of my jacket too! See all 5 customer reviews. Sign up for our newsletter and receive our latest single "Reptile" as a digital download! Copyright © 2019 Diet Records. All Rights Reserved.